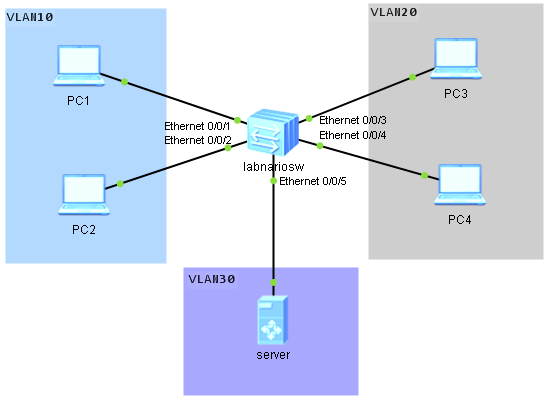 VLAN20 as a “group VLAN” and add user interfaces to this VLAN. Info: This operation may take a few seconds. Please wait for a moment...done. Now the ping test can be done to verify if our MUX VLAN configuration is working (do not forget to address your PCs). Hosts in VLAN20 should be able to ping server in VLAN30 but not be able to ping each other.